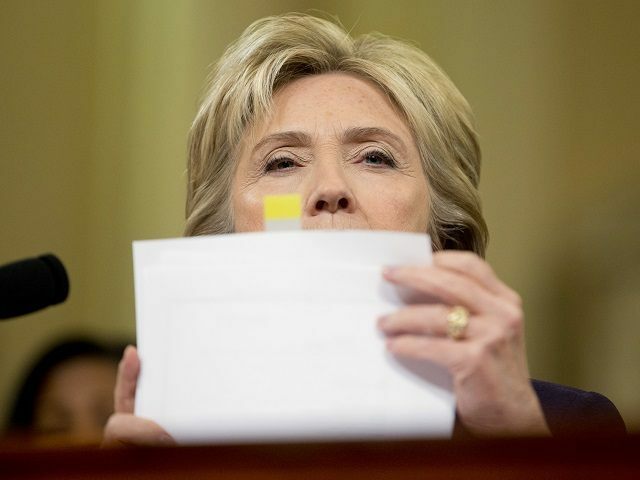 Some of the emails on Hillary Clinton’s private server are reportedly so highly classified that they will never be released by the State Department, not even in a redacted form. In an exclusive report published Friday, Fox News’ Catherine Herridge quotes an unnamed source who says some of the material would be “too damaging” to release in any form. This assessment was backed up by a second, unnamed source. The heat surrounding the Clinton probe has risen recently as a series of reports by Herridge have indicated the FBI investigation is proceeding along two parallel tracks, one involving the spread of highly classified information on an unclassified email server and the other involving possible public corruption tied to the Clinton Foundation. Recently, the Inspector General for the Intelligence Community revealed, in a letter sent to Congress, that dozens of classified emails were found on Clinton’s server–including some at the “Special Access Program” level, considered to be a step above “top secret.” At least one email contained “HCS-O” information derived from human intelligence sources. The leak of such information is considered especially dangerous since it could lead to the identification of a source. Contrary to claims made last year by the State Department and the Clinton campaign, this highly classified information did not originate from parallel intelligence sourcing. A letter sent by the IC Inspector General to Congress included written affirmations from at least one Intelligence Agency showing how the agency determined the information came from their sources and not from a parallel source or a public document such as a newspaper report about a classified program. Former U.S. Attorney General Michael Mukasey wrote a piece for the Wall Street Journal arguing Clinton had enough knowledge of how the system worked to support a conviction for mishandling classified information or gross negligence. The State Department is set to release about 1,000 Clinton emails Friday evening but will miss the deadline for another 7,000 or so remaining emails. Last week the State Department asked a judge for a month-long extension to finish the job. The agency blamed the delay on an “oversight” which meant about 7,000 emails were not sent to outside agencies for consultation when they should have been.